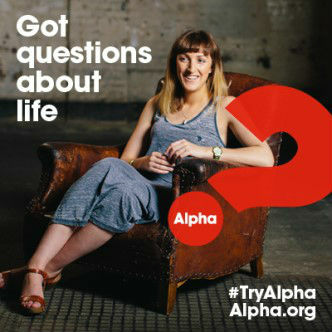 Alpha is a series of interactive sessions that freely explore the basics of the Christian faith. It is for anyone who wishes to find out more about life and living it to the full. Each session consists of food, a short talk, and a discussion where you can share your thoughts and ask any questions you might have. We've run Alpha a couple of times at Saint Chad's (2015 & 2017), so we haven't got one in the pipeline right now. However, details of when we're running Alpha again will appear here when scheduled.